There’s a strange juxtaposition that occurs when you catch a musician live for the first time in their later years. 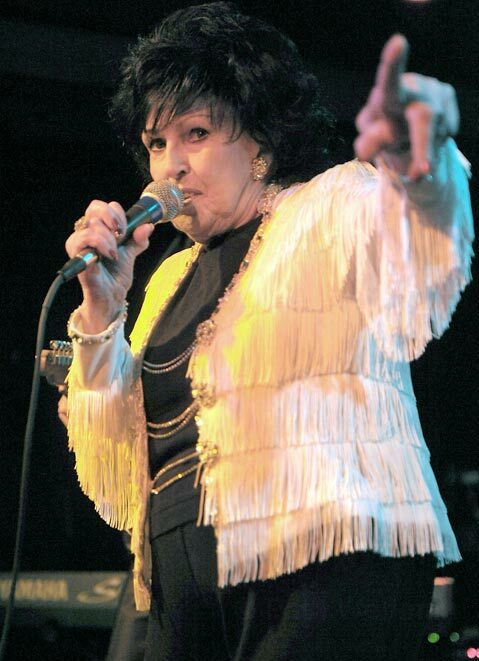 When Wanda Jackson took the stage at Velvet Jones in 2007, and again at SOhO this past Friday, she exuded the kind of firecracker-like energy that her records did some 50 years back. Her voice, though spotty at points, can still hit all the high notes, and her banter has retained that coy quality that makes even the in-between-songs moments worthwhile. Still, there’s a wavering disconnect in seeing a seventy-something woman sing about “shakin’ all over,” and standing front-and-center for Jackson’s live show can prove slightly distracting. 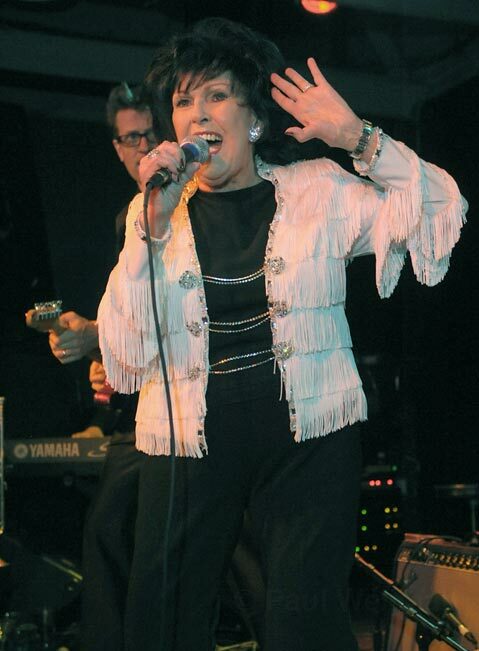 A 74-year-old Wanda Jackson commanded the stage at SOhO during a nearly sold-out pre-New Year's Eve show on Friday night. From a few feet back, though, with the pint-sized singer barely visible atop SOhO’s short-set stage, Friday night’s set proved to be a rip-roaring good time. In the years since her last S.B. tour stop, Jackson’s experienced a career resurgence of meteoric scope, thanks in no small part to a recent collaboration with White Stripes mastermind Jack White. As longtime fans know, though, Jackson has long been a force to be reckoned with onstage. Blessed with one of music’s most recognizably nasal singing voices, the 74-year-old songstress is capable of evoking a remarkable sense of nostalgia. And backed by a tight-as-can-be crew of bandmates, she can lead a roomful of fans back in time through her music. On Friday, Jackson’s set list vacillated between country and rock standards, her own lengthy back catalog, and a few more contemporary covers from her recent (and White-produced) release, The Party Ain’t Over. Accordingly, things started off on a fun-loving, but historically resonating, note with a cover of the Jerry Leiber/Mike Stoller R&B classic “Riot in Cell Block #9.” From there, Jackson transitioned into a set of her own collection of hits, including “Rock Your Baby,” “Hard Headed Woman,” “I Gotta Know,” and the mirthfully delivered “Funnel of Love.” Among the night’s standout moments, “I Betcha My Heart I Love You” proved to be a personal highlight, delivered buoyantly by her lead guitarist and accentuated by Jackson’s pitch-perfect yodel. The Queen of Rockabilly herself delivered a night's worth of rockin' and rollin' on Friday, December 30. Fittingly, the only time that Jackson faltered was when she abandoned her history-drenched past in exchange for more contemporary leanings. (A late-set cover of Amy Winehouse’s “You Know I’m No Good” felt especially out of place.) But at her most vocally pinched and ’50s-embracing (“I Gotta Know,” “Whole Lotta Shakin’ Goin’ On”), Jackson more than proved that after all these years, she’s still rockabilly’s reigning queen.